Eastern US states witnessed an unusually cold week thanks to the "bomb cyclone". Nobody likes the cold. Not even cold-blooded alligators. The US state of North Carolina witnessed an unusually cold last week thanks to the recent "bomb cyclone" that hit most of eastern United States. 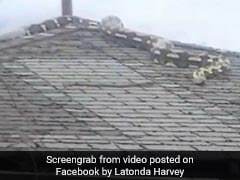 A viral video shows how the reptiles adapted to the frozen surroundings. Nature is pretty impressive, eh? "Have you ever wondered how alligators survive in the winter?" says a voice in a video posted on Shallotte River Swamp Park's Facebook page. 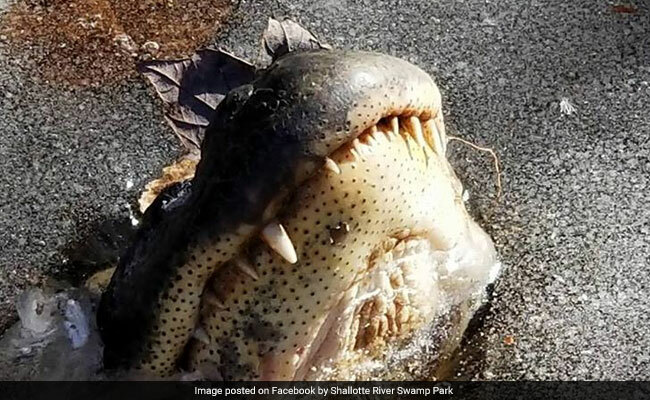 The video shows several alligators poking their snouts of a frozen pond to survive the biting cold weather. With their bodies suspended in the water, a thin layer of ice formed on top of the pond hardening around their snouts. "This is not typical in southeast North Carolina. We get some cold winters but this last week was unusually cold. This is the first time i have ever seen this but it is a common occurrence in the winter in other areas," a park official told NDTV. After the ice thawed, the alligators came out and basked under some well-needed sun.